For all the honeymoon couples and the people madly in love, Kerala has been the ultimate destination for a long time. The unspoiled beauty of Kerala has made this place amazing and helped to put the tag of ‘God’s own country’ as well. However, have you ever wandered which places finally made Kerala the top of every tourism games? Yes? Let us have a look. Since the time of the British India, Kerala has been untouched and unbridled in terms of nature. The greenery of this place has not been brutally destroyed and the people of this place have maintained it as well. Still, the below listed 7 places have helped Kerala a lot to put it on the tourism map. Have a look. The Kochi Fort of Kerala is one of the wonders that tourists cannot afford to miss. With Portuguese mark all over it, this fort has stood the test of all the colonial era – from Arabs to British people. The architecture of this place teaches a lot about the history it went through. The stunning structure of Fort Kochi is absolutely picturesque. Also, it is known as the ‘gateway of Kerala’. Apart from the recent event of mishap, Kerala Backwaters have always been on the mind of the travellers. The tranquil and serene natural beauty of this place is stunning and you cannot afford to take your eyes off. You can stay on the boats, enjoy the light breeze and cherish the South Indian food. If you wish to burden down some of your toxic tiredness, this place is the ultimate destination you cannot miss. Just like the Periyar Backwaters, Periyar National Park is another picturesque place of Kerala that has been unknown to the public for a very long time. Situated in the Thekkady district, Periyar National Park stays open throughout the whole year unlike other national parks. This national park is mostly famous for the wild elephants. Also, you can enjoy a brief elephant ride in this place as well. A trip to Kerala would be incomplete without visiting this amazing national park. In the midst of a fishing village, Marari beach is another place every tourist wishes to visit in Kerala. It is just 30 minutes away from Alleppey and you can have a relaxing beach time with your swimming costumes. However, not all beaches of Kerala are accessible to the Public but this beach is an exception. Although Munnar has its face of its own, but Munnar is surely one of the heavenly places that has helped Kerala to make its place on the tourism map. Surrounded by beautiful tea estates, Munnar is an eye candy place. It is not only amazing but is has many histories to reveal as well. Wayanad is green mountainous region that stretches over the Western Ghats and has some beautiful scenic landscapes to gift you with. This place can provide you with the complete bliss of mind. 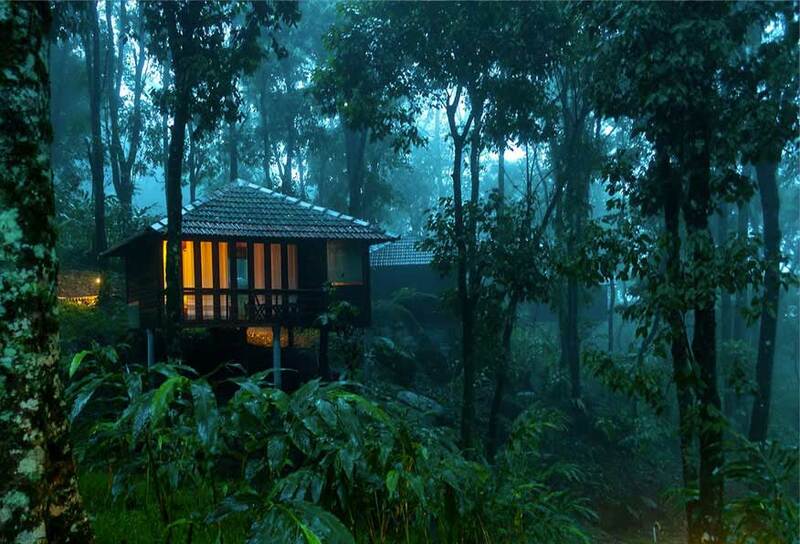 Thick forests, paddy fields and lofty peaks – Wayanad is a complete package of natural surprise. Just like Munnar, Kannur of North Kerala offers you with amazing tribal life. The Theyyam ritual of this place is amazing to say the least. From history to mystery – Kannur is a complete package of nature and culture. There are many places that have put Kerala on the world tourism map, but these 7 are the main part of it. So, if you have not visited Kerala yet, it is high time that you do. Happy Travelling!